Prestigious Khel Ratan awardee and leading politician Abhay Singh Chautala is the youngest scion of former Haryana chief minister and Indian National Lok Dal (INLD) chief Om Prakash Chautala. Abhay came into political limelight in the year 2000 when he won from Haryana's Rori Assembly constituency on INLD ticket with a record number of votes. As an MLA, Abhay is believed to have actively raised the issues pertaining to all classes of people of his constituency and laid emphasis on infrastructure developments in the state. He was instrumental in the opening of new educational institutions, and vocational and primary health centres for providing better living conditions and skill development facilities to the people of the state. Born on 14th February, 1963, Abhay Singh Chautala has been associated with politics since his student days but he jumped into active politics of the state only after completing his B.A. degree. He started his political career by contesting election for the membership of his village Panchayat and also severed as upsarpanch (deputy chief) of Chautala village Panchayat for one term. A sports enthusiast at heart, Abhay has taken keen interest in the advancement of sports in Haryana and lent his weight behind encouragement of sports in the rural areas of this North Indian state and most prominently among the girls. 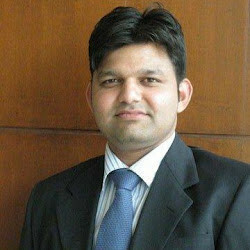 Abhay has been the moving force behind the new sports policy adopted by the Haryana state government. The innovative policy seeks to promote sports and games on a big scale, set up rural stadiums in various parts of the state. It also has provision for considerably increasing the diet allowance for sports persons. The policy provides for reservation of a certain percentage of seats in government educational institutions and jobs under the sports quota, besides the provision of handsome incentives and cash prizes for the sports persons winning medals in the Olympics, Asian Games, Common Wealth Games and other international sports and game competitions. As recognition of his endeavours towards the promotion of sports and games, Abhay was also elected president of Haryana Olympic Association and the Vice President of the Indian Olympic Association. He has also actively worked towards facilitating education for girls to empower them. Working in this direction, he opened 'Shrimati Haraki Devi Memorial College for Women,' where meritorious girls are provided free boarding and lodging and fee concession. Further, to encourage the movement of girls to educational institutions, free transportation facility is provided to those students who live in the nearby villages. 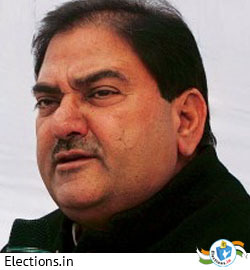 Currently, Abhay Singh Chautala is among the leading faces of INLD in Haryana. He has contested the election from Ellanabad Assembly constituency, while handling the challenge arising out of the absence of his party’s jailed leaders - Om Prakash Chautala, son Ajay Chautala and senior leader Sher Singh Badhshami in connection with the Junior Basic Training teachers recruitment case. He aims to lead his party to victory but only the election verdict on 19 October will tell how far he is successful in his efforts.